You can use either curl or wget command to send HTTP request from UNIX or Linux operating system. Both commands allow you to send GET and POST request, which means you can also call REST web services. I have a Java web application, which runs on Linux and exposes WebServices. I was writing a UNIX script to download In some data from that web service when I hit by the question, how do I make an HTTP call from UNIX? What is the UNIX command should I use? If you are also facing the same question, then you have come to right place. Basically, you can use two UNIX commands to make the HTTP request, wget, and curl. You can use curl and wget to send both GET and POST HTTP request. My use case was rather simple, I just need to make a GET call to web service to download the data, but these two commands are very powerful and provide many different options to interact with the web using HTTP right from the shell. Between wget and curl (also known as cURL), curl (I call it "karl") is my favorite. Why? I think because I have used it more often than wget :-). 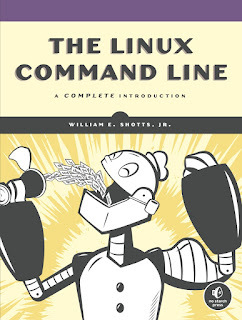 You can make your choices if you have good knowledge of Linux command line and that's why I suggest every Java developer to read The Linux Command Line: A Complete Reference, the best way to become efficient in Linux. Now let's see how to send HTTP request from UNIX using the curl command. This request will timeout in 2 seconds if it doesn't receive any response. You can also use wget to send HTTP request and download the data. Only difference between curl and wget is that curl will print output in console and wget will store it in the file e.g. will download the content of index.html and store into a file with the same name. You can also use curl to send HTTP post request. All you need to do is use the --data option to specify the data you want to POST to web service e.g. That's all about how to send HTTP request from UNIX and Linux. It's simple, just remember curl and wget command. you can explore their option by using man wget and man curl. Also, remember the difference between curl and wget, former prints the output in the console while later store the response in the same file as requested. I personally like curl because it's easier to use but if you like wget stick with it. Great article. In the curl request you should use quotes around the URL and the data being sent curl "http://api.openweathermap.org/data/2.5/weather?q=London,uk&appid=bd82977b86bf27fb59a04b61b657fb6f" otherwise curl seems to thing everything after the & is another request. Super weird, but fixes a lot of script problems. Thanks for the article! I have a xml file on some linux directory and I am trying it send to a rest api? Is there a way to do that?